Ah, now we're finally in to the heart of the beast. For an army that bills its self about being elite, the elites slot must be something truly special, right? Well... Maybe. Keep reading and find out if this jam packed section truly lives up to its namesake. Vanguard Veterans experienced one of the largest changes to their function, cost, and structure of any unit. These guys are what assault marines become when they grow up. They're all Sergeant start lines, and are pretty reasonably priced for what they offer, and for a few points more, each of them can have a jump pack. The jump packs are a bit of a split point for me, given that they're certainly much cheaper than a land raider, but likewise, they involve not putting your dudes in a metal box, which leaves them vulnerable to drowning in dice, or even template weapons. They bring a special ability to the table that lets the actual Sergeant jump in the way of challenges, as well as allowing the squad to ignore disorganized charges. Unfortunately, these guys aren't as good as honor guard, but for some play areas, ignoring disorganized charges will be worth the loss of power weapons and 2+ save. Just remember, for assault units, it's all about being able to reliably threaten a turn 2 assault, and these guys have two options for just that (and a third with Shrike). So, in the last codex, these guys were an auto include, and they still are in this one too. They'll cost about the same as the 5th edition codex as long as you keep the combis low, despite the fact that their new pricing structure has them cheaper up front than the last edition. What makes these guys so good? Two dudes can take special or heavy weapons and any of them can take combi weapons. That kind of firepower is only seen on one other unit in the codex, and that's the command squad. Why do these guys warrant so much more inclusion though? For a meager tax, you get an array of special issue ammo. You get hellfire rounds, which wound on 2+, vengeance rounds which get hot but offer AP 3, kraken rounds which grant you 6" extra maximum range and AP 4, and dragonfire rounds which ignore cover. Right tool. Right job. This unit is the pinnacle of the marine design philosophy. With the right combination of wargear, and two attacks per model, there's nothing that this unit will not handle, no questions asked. There is no excuse for not bringing these guys. And I can hear some of you salivating over using Pedro to make these guys scoring. Do us both a favor. Don't do it. Please. Please don't do it. Fists tactics don't apply to your special rounds (icky) and these guys are tantamount to Tau's Pathfinders. If your opponent fails to eliminate a unit of properly equipped Sternguard, they will almost certainly lose. Making them a scoring choice just makes it that much easier for your opponent to prioritize them as a target. Not only that, but if you cut yourself from 3 tactical squads to 2 and kept yourself with two units of Sternguard in your list, though your volume of scoring choices increases on paper, in practice, you've lost a unit. Again, these guys should be expected to die, they're just too potent to leave alive. Ah dreadnoughts, last edition we saw them equipped in about all of 1 combination: the rifleman. And unfortunately, this is still just about the only reason to look at these guys. For a small tax versus a predator, and some shuffling of armor values, you can fire 2 twin linked autocannons. These do great for volume of fire against AV12, okay at hunting MCs and xenos infantry, and can usually kill at least one guy in power armor. If you find yourself really needing to do anything other than hammer through vehicles though, consider other platforms. Though the dreadnought is small and easily finds cover, he's still vulnerable and really lacks the mobility to quickly reposition if the enemy vacates his admittedly sizable kill box. Then there's the codex's unique dreadnought variant, the Ironclad. This guy is a challenging gamble to use if ever I've seen one. Why? He's geared out with two DCCWs power fists, and a meltagun. It really can't say "I want to punch your face... in the face!" quite so well as that seismic hammer. So, in a meta that seems to eat tanks for breakfasts, what's a rock-'em robot to do? Jump in a drop pod (Lucius if your area allows it), pay the tax to swap out his crappy storm bloter for an excellent heavy flamer, and limit an opponent to a single shooting phase to answer him before he begins making trouble in CC. Here, his AV13 is both a blessing and a curse (gives marine back their combat tactics), but depending on your local meta, he'll likely make his points back. When I say local meta dependent, avoid areas with high saturation of melta and/or interceptor. In these places, you're just handing your opponent a 200 some point lead on you. Remember how I said that ignores cover was the best thing for marines? These guys can have plasma do it. They deep strike for free (even if it is a must), and can re-roll their scatter. They give up chapter tactics and their special Sternguard ammo to gain fearless, fear, S&P (so sad, no overwatch), and to make their save invulnerable. The loss of special issue ammo and widespread combi access makes them a little less versatile (and less able to score first blood), but having ignores cover on a plasma gun, plasma pistol, and plasma cannon for cheap is too good to pass up. Bring a minimum five man squad of them. They're just shy of being "Sternguard good", largely because of gets hot, and their vulnerability to getting assaulted, as well as some real degree of diminished power against infantry (to excel only slightly against tanks and MCs) but they're still very very impressive. Oddly enough, this is one of those units where being less forgiving than a comparable unit doesn't necessarily mean that there's greater available reward. 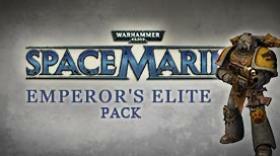 Funny story, when I started this game in 5th, I thought Terminators were just the best thing in the Space Marine Codex. They have the best save in in the game, bring an invulnerable save to stave off big weapons and monstrous creatures, have power fists, and guns that shoot twice as many bullets at "long range" as a bolt gun. So, naturally, my assumption was that I wanted to take as many of these as possible. So I took 20. I lost many a game, baffled as to why. The simple truth is that terminators are bad. Against small arms fire, I'm twice as durable as a power armor dude. For what has always been just over twice twice the cost (currently approaching three times). And I don't put down comparably better firepower to compensate for that price hike, largely because I'm spending points on a power fist, a crappy invulnerable save, and the ability to deep strike. The only way to make this unit remotely playable is the Dark Angels codex, which makes them pretty strictly okay. Grey Knights try, but are only a little better than what what they they are in in this codex. This unit saw a spike for about two weeks when the edition changed, before everyone started bringing plasma. And Eldar have happened since then too. This isn't to say say that terminator armor is unconditionally bad, but rather that it's a subpar firing platform, which is odd considering that they are relentless. No, access to the heavy flamer does not save this unit. If you want more of those, look to either Legion or Sternguard. Then there's the other unit in terminator armor, assault terminators. Unlike the other terminators, these guys are alright. They're far from amazing, but they can do work. For static gunline style lists (not recommended) they offer a counter charge unit, and for aggressive lists, you can pay the land raider tax and get a crazy durable "hammer", and a potential home for your very choppy hunter character. First and foremost, disregard their base wargear. If you bring these guys, you will pay the storm shield tax. Thus, for a few points more than a regular terminator, you give up your horrid storm bolter for a storm shield, and strap a fairly useful special rule to your power fist (gotta play whack-a-mole against those MCs). The worst part of these is that they take up about a 500 point block by the time you pay the very icky Land Raider tax (more on that in part 8). Not surprisingly, volume of small or medium arms fire is more a problem for these guys than low AP, they are walking tanks after all. So, even though these guys fix the big problem with assault terminators by being T5 and 2 wounds (the T5 matters, the 2 wounds less so given that that each model costs time and a half what what a terminator does), they lose out because they're only two attacks after dual armed, and are paying an exorbitant price for AP 2 at I 4. Which isn't that impressive because it's strength 9 which is negligible over strength 8, and you're still vulnerable to getting smashed by an enemy MC. The final nail in the coffin is that you've sold your invulnerable save for either a twin linked heavy flamer (goodbye charge range) or a twin-linked meltagun (costs you points). So, point for point, you're slightly better against massed small arms fire, but make fewer attacks, and your box costs 50% more. Oh. And you have to play a land raider tax for these guys too. So, where at the end of the day does that leave the elite of the elite? Well, if my above assessment wasn't clear enough, you're going to have to try pretty hard to tell me you're not bringing at least one unit of either Sternguard or Legion. Bringing a unit of each allows you to still have a free elite slot for something that isn't shooty terminators or assault centurions. Said units are bad and will cost you games. This comes from experience. LOTD are amazing. I have 2 1/2 squads and a Captain that I run together. Its a pain to remove from the table. 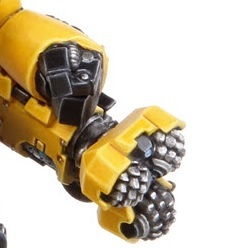 Eh, it's a pain for heavy weapons to remove, but bolter fire does as well against them as it does against regular marines, which is a problem considering the premium you pay for them.